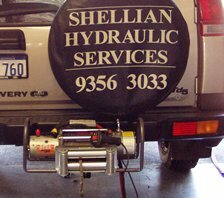 Shellian Hydraulic Services was established in Australia in 2001 by Ian Whitaker. With over 20 years experience of hydraulic repairs and problem solving in the European, Asian and Australian mining, offshore and production industries. Shellian Hydraulics are dedicated to offering customer service based solutions to all hydraulic problems.